Probably the most common of all road traffic accidents are car crash claims due to the pure number of cars that are on UK roads. They have a varied outcome from the mild “bump” where no injury could be sustained to a mild case of whiplash ranging to a very serious crash where the victim could suffer a variety of injuries including spinal cord injury, brain injury, disability or amputation. These injuries are life altering to the victim who must now concentrate on their recovery process be it with treatments and/or medication which does result in having to re-learn how to perform basic tasks, such as going to the toilet, all over again. This process can take a heavy toll on the psychology of the victim as they will be going through a lot of emotions (anger, sadness, denial etc) in regards to the accident, pre and post. Counselling is sometimes needed in order to help along with the psychological recovery process, which can take a significant period of time. The most common cause for having a car accident is “driver error“. This very vague term can range into a variety of other descriptive sub terms. A good explanation of all can these be found at the RoSPA website FAQ section. Other causes can include environmental factors such as cracks in the road, potholes in the road or faulty traffic lights. 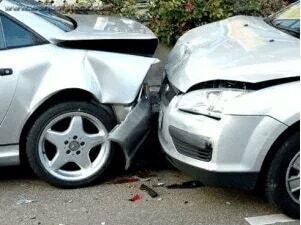 If the accident you had involved another road user then we will claim against their insurance for your compensation. If you have been hit by an uninsured driver then we will claim against the MIB for your compensation. (The MIB is run by a private limited company and it’s where insurance companies have to pay into in order to cover drivers from claims against uninsured drivers and “untraceable drivers”). Is there a Procedure and Time Limit for my Claim? Yes there is. The time limit is 3 years from when you had sustained any injuries resulting from a non-fault car accident. After this time has lapsed, if legal proceedings have not commenced in court, the case is then time-barred or statute barred as it is sometimes known. There are exceptions to this, for example if you were a child at the time of accident you then have 3 years from your 18th birthday in which to claim for compensation. We take care of the proceedings on your behalf so that you don’t have to. So if you have been involved in a non fault car accident and are looking to get back the compensation that you deserve Call Us on 0161 82 11 229 or fill out the form provided. Our specialist solicitors will take away all the hassle from your hands and will endeavour to recover the compensation that you deserve. > Road Traffic Accident Claims – Information on road traffic accident types and how to make a claim for compensation. > Motorcycle Accidents Claims – Information on motorcycle accident causes and how to claim for compensation. > Cycling Accident Claims – Information on cycling accident causes and claiming compensation.